There is a variety of summer and winter fishing opportunities around Marysvale, Big Rock Candy Mountain, and the Paiute ATV Trail area of Utah. There is excellent ice fishing in the winter at Piute Reservoir, Otter Creek Reservoir, and Fish Lake. There are many fishing opportunities for fair weather anglers in streams, rivers and lakes. Antimony Creek, Garfield County. This clear, cold stream is located southeast of Otter Creek Reservoir and Antimony. It’s lower stretch is populated with Brown Trout and wild Rainbows. There are some pools and stretches that are ideal for fly-fishing. Beaver Creek, Piute County. This small stream flows off the east side of the Tushar mountains and is accessible of the Beaver Creek Road east of Marysvale. It contains rainbow and a few cutthroats. Beaver River, Beaver County. This larger stream is located east of the City of Beaver. It contains Rainbow, Brown, Cutthroat, and Brook trout. Fishable tributaries include South Fork, Lake Stream and Merchant Creek. Box Creek, Piute County. Rainbow and Brook Trout are found in this Monroe Mountain stream. Good access is available from the bottom end near the community of Greenwich. Bullion Creek, Piute County. This clear cold stream is located up Bullion Canyon west from Marysvale and our vacation rental cabin. 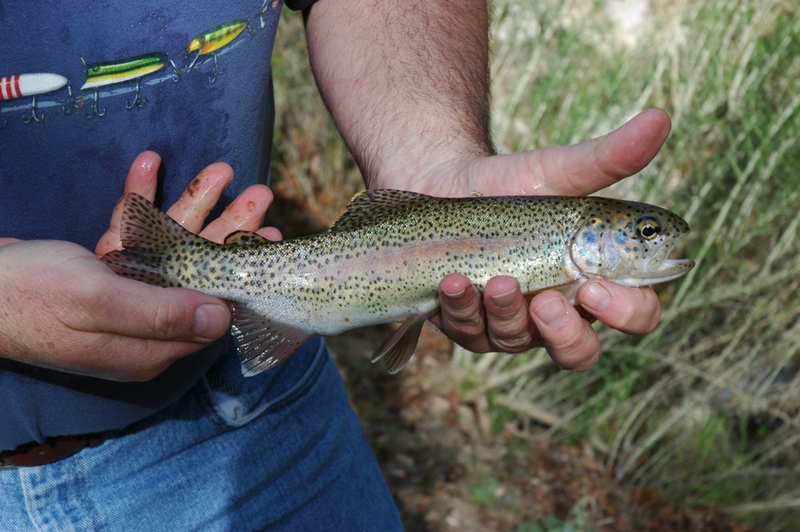 It contains mostly rainbow and cutthroats. There are wild cutthroats available above Bullion Falls which is only accessible by a strenuous hike. Clear Creek, Sevier County. Wild rainbow and brown trout are plentiful in the stream much of which is available within the Fremont Indian State Park. Fish Creek, Sevier County. Located on the North slopes of the Tushar Mountains. This stream contains a good population of wild rainbows and some nice brown trout. Fish Lake, Sevier County. This large, deep, cold lake is a good bet for trolling for rainbow. There are some lunker-size brown and lake trout for the expert anglers. Winter ice-fishing fishing is great here. The lake is very picturesque located at about 9000 feet with surrounding mountains and forests. Manning Creek, Piute County. This stream flows off the west side of Monroe Mountain, with headwaters at Manning Meadow Reservoir and Barney Lake. The stream has cutthroat and brook trout. Otter Creek Reservoir, Piute County. This reservoir consistently has good rainbow trout fishing. There is usually excellent ice fishing in this reservoir during the winter months. Piute Reservoir, Piute County. This reservoir usually has small and mid-size rainbows available from the shore and by boat. There is usually excellent ice fishing in this reservoir during the winter months. Sevier River, Piute and Sevier Counties. This small river has brown trout, rainbow and some cutthroat which are available in various stretches from Piute Reservoir downstream to the bottom of Marysvale Canyon. 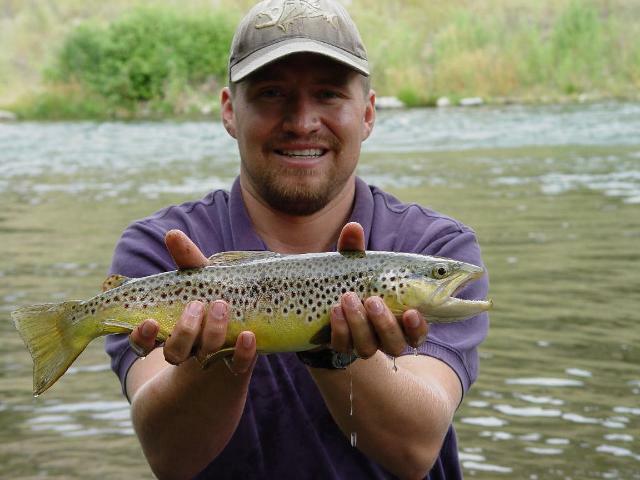 East Fork of the Sevier above Otter Creek Reservoir has brown and rainbow trout. Some stretches provide excellent fly-fishing opportunities. How about some Utah Fishing ?